One of the most beautiful archetypes of Pisces is of the Visionary. It’s a word seemingly out of place due to the unassuming nature of the sign, yet Pisces can leave the most profound of epitaphs on humanity. Few visionaries have changed our lives more than the talents of the techno-geek Prometheus, Steve Jobs. He may as well have brought humanity the gift of fire though his design and inventive genius that built a magical kingdom of personal computers. He was a man who expressed the desire to put a ‘ding in the Universe’. Boy, talk about your understatements. Born on February 24, 1955, Jobs’ Pisces Sun landed in the 6th House of Daily Life and Service. (See astrological chart shown at bottom of article.) It’s interesting that this seems to reflect his life as well as the lives of others. After all, his lifetime of creative dreams (pursued through daily routine) completely transformed the way we communicate on a daily basis. Really, you can’t walk 30 paces without finding someone intently caressing their IPhone. And like an addiction, just try suggesting they give it up for even a day and they’ll stare blankly as if you asked them to donate a kidney. I still remember the first time my friend Chuck came to a party demonstrating his fresh out of the box IPhone. We crowded around, gasping in awe, whilst writhing in envy. And just when you thought life couldn’t be any better, the IPad descends from the heavens. Surely when Jobs named his computer ‘Apple’ he must have known was creating his own forbidden fruit. Oh yeah, he saw what he had made and it was very good. In Jobs’ chart the Pisces visionary nature was assisted by other aspects. A huge ally would be his Mercury in the brilliant and unpredictable sign of Aquarius, giving him a mind insistent on the new, the innovative — a mad scientist kind of genius. It’s ALIVE! Or in this case, ‘It’s ILive!’ (Oh, someone had to say it.) Mercury is also very significant in Jobs’ chart since it rules his Virgo Ascendant. The ruler of our Ascendant (also referred to as the ‘chart ruler’) is like the doorman to your mansion. His Mercury in Aquarius gave him a maverick mind placed in his 5th House – the house of creativity, of play, and speculation. He was someone who wasn’t afraid to roll the dice on his inspired brain children while transforming computers from perfunctory machines to portals of creativity, delight and amusement. As if this didn’t stack the deck enough, Jobs had both Mars and the Moon in Aries, the sign of the bold pioneer, known for brash independence and forceful initiative. A virtual roman candle born with the fuse already half lit. Mars not only opposed Neptune (the ruler of his sun sign), but landed in the 8th House of joint resources. This would give him the ability for tremendous drive and initiative within an organization yet all the while feeling the need to do things ‘his way’, most likely as quickly as possible. That alone must have presented some challenges, as people with Mars in Aries are not known for their patience or ‘playing well with others’. Also adding fuel to his fire would be the Moon in Aries, which would give him an emotional need for excitement and new challenges else he run the risk of getting bored. Have you ever seen an Aries bored? Of course not. As soon as they’re bored, they’re gone – off to the next adventure. Will send you a postcard! 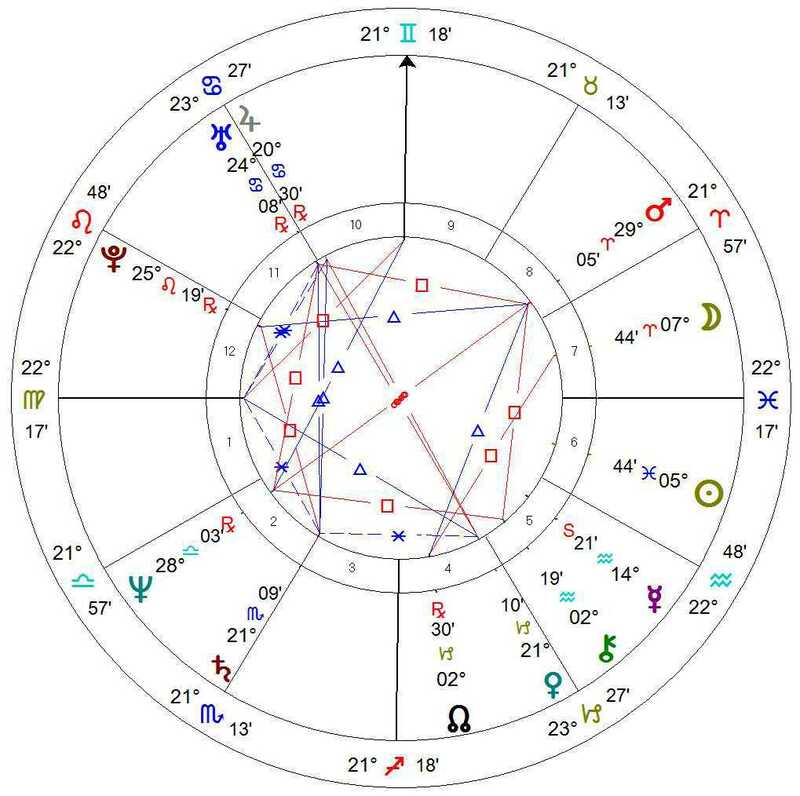 Interestingly enough Jobs’ Aries Moon lands in his 7th House of partnerships, necessitating the need to temper the independent I want to do it MY WAY nature with the emotional need to work with others. After all, the Apple Empire was born out of his joint ventures with Steve Wozniak. Also indicative of the importance of partnerships is Neptune in Libra. Remember Neptune is the ruler of Pisces (his Sun). The sun sign ruler in Libra indicated a life purpose of partnering (Libra) to make money (2nd House). Fortunately for us Jobs had all of this fire to fuel the manifestation of his dreams. Otherwise they may have simply floated out in the ethers. Of course we will always remember Jobs for the uber-cool gadgets that he left under our proverbial Christmas Trees. But I was intrigued when I read his quote at the very beginning of the article, for it reflects one of the most admirable qualities of the last sign of the zodiac, which is true humility through the complete dissolution of ego which leads to the surprising vista of a sea of potentiality. How many people could reach such a pinnacle of success and ensuing loss yet see it as a priceless opportunity. How many would fall into victim mode (not at all uncommon for Pisces) and stridently grasp to retain the past. Sadly, this is what leads to great grief and suffering. This is why acceptance and surrender lead to freedom at times when they sound like an anathema. How many of us realize how ensconced we are by a lifetime of beliefs and considerations about our identity, our needs, our potential or our status; don’t even get me started on our relationship to others. (One can of worms at a time, please.) The very things we think we need to rely on for our foundation, our standing in life, hence our survival are also the barriers denying us so much more that we can be. Sometimes it takes complete annihilation for a rebirth to take place, but it’s not the pain provoking transformation we associate with Pluto. It’s a more subtle erosion over time, like your own private Grand Canyon, with the water gently wearing down your granite ego. I’m going through a watershed period of my own, and while I don’t feel the same grace or wisdom expressed by Mr. Jobs, I find great comfort and promise in his words. I remind myself (daily, if need be) that despite the confusion and uncertainty of seemingly fallow times, that I may indeed be in the process of unfettering to a far more rewarding life. Like a Dorothy, I long to open the door to a technicolor Oz and wonder how I ever lived in the dark world I knew. (Which, by the way, is really, really hard to imagine when you’re still whirling in the farm house.) Like his quote, there is so much in the words “I didn’t see it then, but…” We never see where we are as our future ‘then’, and we’ll never know how we’ll look back on the process we walk through every day that we don’t even realize is our story. In the mean time, I carry touchstones like Mr. Jobs’ jewels of hope in my back pocket and dream of putting my own ding in the Universe. Outstanding astro writing on Steve Jobs! As an astrologer of many decades myself, I have to add that his Venus, in the uber critical sign of Virgo, made him discerning in love. He chose a partner carefully, when he was ready to commit, and had a fulfilled relationship. Venus in his 4th house made that home base a vital area where he could retreat and relax. Home became his sacred space. Venus in the 4th also contains a promise of being surrounded by luxury and beauty and love at the end of life. This was certainly the case for this amazing Piscean visionary. Looking at his chart – he has the “Magic Box” when I see people or insitutional charts with this, there is always an aura of mystic and something amazing that comes about. He definately uses the Uranus conjunct Jupiter trine Saturn that allowed him to break down barriers of how things always are. We see that now with this same aspect universally going on right now with old methods being dissolved so that the new can arrive. This is so beautifully and poetically written.